We can supply a wide range of bar, café, restaurant or hotel hospitality uniforms and have specialist clothing to suit whatever area of the hospitality industry you do business in. We provide chefswear, front of house, reception suits and all types of clothing for the F&B industry to customers all over the country. Able to customise and personalise most products we can supply shirts, blouses, aprons, ties, scarves, waistcoats, trousers and skirts as a bespoke uniform for your bar or restaurant that will exude unique style. We specialise in offering a second to none service to the hospitality industry and with over 21 years experience to fall back on you can be sure of our expertise. 21 years in the business has taught us much. We deal with businesses from the smallest coffee shop to the largest catering companies in Britain. We can help find the right look for you at the best prices. If it’s something a bit different you’re looking for we can take standard off the shelf garments and add a little uniqueness. For example, shirts can be roll sleeved and mandarin collared or apron ties and halters can be changed for a contrasting colour. We have a selection of aprons handmade in our own purpose built factory. Choose for our selection of Denim, Canvass or Leather Premium Aprons all of which can be customised to your needs. For our larger customers we have a custom made online ordering platform that has widely been praised for it’s ease of use. With dozens of options available we can personalised the website so your staff can order direct from factory. A Hotels Uniform needs are ranging with Chef’s, Front of House, Housekeeping, Reception, Grounds Maintenance & even Spa staff to clothe. Branded Aprons, Shirts, Suits, Waistcoats & Jackets for your Chefs, Kitchen Porters, Front of House, Waiting Staff, Bar Staff and Managers. Whether this years trend or more traditional uniforms we have Aprons, Shirts, T-shirts, Waistcoats, Trousers and more to suit any Bar or Café. Contract Caterers need a cohesive uniform that can span several different departments. We supply it all from Managers Suiting to Kitchen Porter Aprons. We are committed to giving you the most popular on trend styles and pairing these aprons with your own uniform designs couldn’t be easier. With a large selection of styles and colours at competitive prices we can even add your own branding by embroidery or print will finish off your look. Coming in Leather, Denim, Cloth or Canvas, we have the experience & knowledge to guide you to your perfect apron. Whether Front of House or behind the Bar we have the right Shirt or Blouse to compliment any style of Uniform. Stylish and hard wearing these Polo Shirt come in a huge selection of colours and styles. Coming in a huge range of fabrics, styles and colours we can find the right Top for your Bar, Restaurant or Café. Whether it’s a Formal Trouser, Chino or just plain Jeans we have wide stock for you to choose from. We stock a large range of Corporatewear, Chino & Denim Skirts that are always up to date on the newest trends. Our high quality Chefswear will keep you looking great and feeling safe in the kitchen. Check out our selection of Jackets for Front of House and Managers in the newest fabrics and styles. Choose from our selection of off the shelf Ties and Scarves or ask for our bespoke Tie & Scarf service. These top quality shirts are ideal for Front of House and Managers alike. Our NEW Denim Aprons & Shirts are sure to make your uniform look hip and on trend this year. Stylish Canvas Aprons for Bars, Restaurants and Kitchen Staff. Ideal for your Front of House & Restaurant Staff. Our NEW tweed look Waistcoats are Stylish, Lightweight & Practical. Stunning bespoke leather aprons to make any Hospitality Uniform stand out from the crowd. These aprons are ideal for Bars, Restaurants, Grills, and Outside Catering giving great protection for both waiting staff and chefs against spills and heat. of In any large organisation saving time is always a blessing and ordering staff uniforms can be a lengthy process. 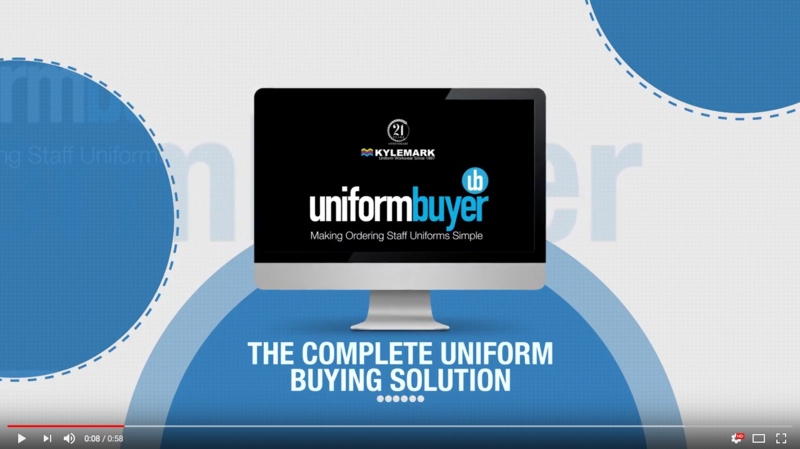 Uniform Buyer allows you to manage your uniforms across multiple sites, departments and roles, whilst keeping total control. It’s a fully customised buying portal which allows you simple, fast ordering of your predetermined uniform styles across a large team.